Maybe you earn money from home by taking care of children in your community, writing articles for clients around the world, or shooting some of your state’s landmarks as a freelance photographer. Regardless of the role you fill, your website is often the first thing that puts potential clients in touch with you. If it’s not a good representation of your skills, or worse, filled with errors, site visitors will probably decide it’s best to look elsewhere for their services. However, if you take the time to periodically review your website and search for ways to make it better, you’re engaging in active strategies that could convince potential clients you definitely have the services or expertise they need. 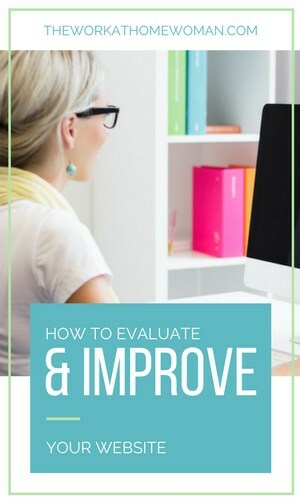 Keep reading to learn how to perform an in-depth website evaluation, plus enhance its layout and content. It’s a good idea to ask others to go to your site, check for errors, and then give you feedback, especially if you didn’t rely on an outside company to build the site and did everything yourself. It makes sense you would not immediately see mistakes on a self-built site because you naturally think you’ve done everything or almost everything needed to make it look good and function smoothly. When relying on someone else to put your website under scrutiny, there’s a good chance they’ll come up with suggestions you never thought of before or encounter issues you didn’t know were problematic. Hearing that kind of surprising negative feedback isn’t fun, but if you take it seriously, you’ll be at a good starting point, at least in terms of taking care of the most noticeable or bothersome issues. If you're feeling timid about asking a friend or family member to critique your website, try a service like PeekUserTesting. They offer free website audits from objective third party sources. Your website probably has a section that includes contact details so people can easily give compliments, ask questions, and sometimes, make complaints. It’s great if you’re able to maintain the habit of always writing back to every person who decides to correspond with you. That step goes a long way toward making a person feel valued. Plus, your gesture may encourage them to do business with you instead of a competitor. Once you’ve relied on your site’s visitors to highlight some of its most pressing problems, you can start determining how to tackle those issues. Broken links and poor organization are things you may be able to handle without help. However, if you want to make your site more mobile-friendly or come up with a realistic advertising strategy that doesn’t require so many pop-up ads, you’ll probably need assistance. Most likely, that means budgeting to invest financially in making positive changes to your website. Spending more money may not seem like the most attractive approach, but consider that by making your website better now, you’re doing something that could help you secure more at-home work in the future. If it is not feasible to fix all the identified problems immediately, prioritize so that you’re making the biggest impact with your dollars. Google offers a free tool for desktop and mobile versions of websites that analyzes what’s making your site load slowly and more importantly, how to fix it. Getting started is as simple as entering your website’s address and clicking the “Analyze” button. You’ll get results in less than a minute, and the recommendations shouldn’t be too hard to follow, even if you’re not an extremely tech-savvy person. As you can see from the screenshot below, you can click on information about possible areas of improvement and learn how to fix the flagged issues. You’ll also learn about the parts of your site that are well designed for speedy loading times, so you’ll know which areas to leave alone. Research indicates that speed is especially important if you sell things on your website. That’s because 40 percent of online shoppers leave sites that don’t load in three seconds. Making your site run as speedily as possible is a good aim, but it shouldn’t be your only goal. The free Grade My Website tool picks up where Google’s tool leaves off. Some of the components this tool looks at include title and description tags, URL construction and images, so it’s an excellent resource for sharpening your SEO strategy. Green checkmarks mean a particular part of the site is adequate, while red Xs indicate things to fix. The evaluator also gives an overall grade, which could be a useful benchmark if you run the test first to get a baseline, and then make changes to see if the grade improves. If you decide to use both of the evaluation tools discussed above, you’ll have done a good job at finding areas of your website that need more attention. Using Google’s tool alone is too limiting since it only focuses on speed. 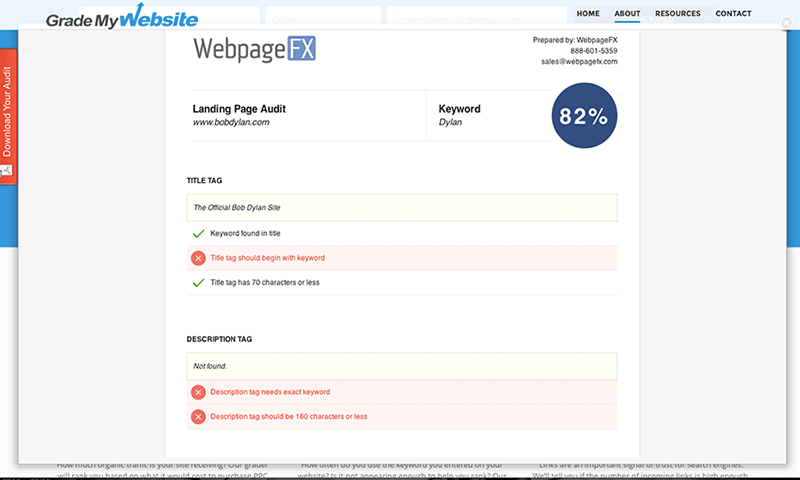 For the most thorough results, use WebpageFX’s evaluator too, and feel confident you’re looking at your website with a broader perspective. Even if you didn’t hear complaints from site visitors griping that your online destination is too disorganized, focus on how the content is structured, and make sure it’s genuinely sensible. To start, arrange content so it’s audience focused. If people think it’s easier to find buried treasure than come across what they’re trying to locate on your site, they’ll likely get frustrated and leave altogether. Do what you can so people can access content in as few clicks as possible. One way to accomplish that is by using drop-down menus. You can also get good results by trying to envision what visitors are thinking after they read certain content on your site. If you post a blog entry that talks about the types of crafts you make at home and sell, it’s smart to include a link to your contact page as part of a call to action. That way, people don’t have to click to another section of your website and can just stay on the blog post and access what they need through your provided link. If a part of the site relates to other, similar content that’s located elsewhere, utilize your website’s sidebars to direct people to content they might like to check out. This tactic may encourage them to stay on your site longer than they ordinarily would, which could mean you eventually interest them enough to become new customers. Studies have shown people spend an average of just 58 seconds on a website. You improve your odds of them staying on your site longer by producing up-to-date, relevant content. You’ve probably already realized old content that’s not accompanied by anything current gives people the impression you’re no longer putting time into your website. But there are more reasons to update your website than just to make sure people understand you’re still committed to its existence. Many of them relate to SEO. Search engine crawlers index newer content more frequently, for example. If the content is indexed more often, that alone doesn’t mean you’ll rank higher in search engines, but it could, provided the content you publish is properly optimized to achieve desirable search engine rankings. Many people who make money from home hold webinars or sell e-books to generate revenue. Others work as consultants and allow people to engage in phone calls or web chats with them to learn new skills or get their questions answered. If these are things you do currently or would like to get involved in before long, it’ll be advantageous if your website’s content reflects the expertise you possess. Then there’s no need to prove your worth because your site does it for you. Fresh content may also perform well on social media, especially if it’s shareable. When writing new material for your website, always consider what will make people want to share it. You could bring more traffic to your website simply by having people love the items you post that appear in their social media feeds. Now that you know these actionable ways to make your website better, don’t get overeager and try to hastily make changes so the new version of your site goes live before it’s truly ready. It’s much better to take your time and work methodically, attempting to catch errors within your website as you evaluate each part of it. 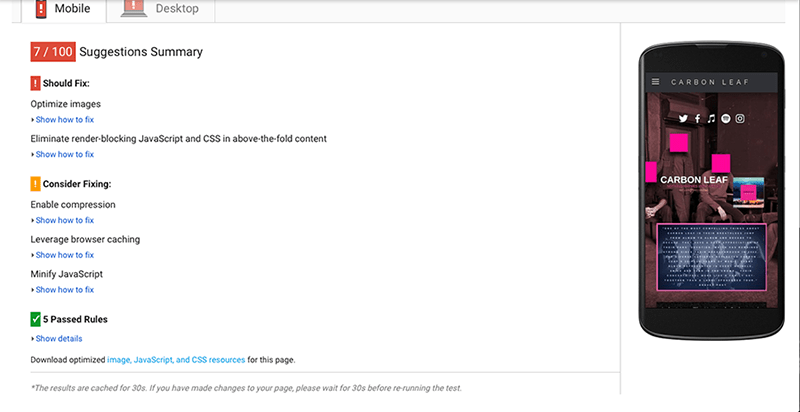 Besides doing the things above, don’t forget the final step in improving your website: Testing. The testing phase is when you’ll uncover obvious errors such as links that don’t go to the right places or broken images. When testing the site, behave as a typical user would and try to make your online activities match the ones you assume they’d do. If the process seems too clunky or frustrating, you probably need to go back to the drawing board, at least for some components of the site. Best of luck! For more tips on organizing your website or blog, check out this free Blog Structure Blueprint so that you can start organizing your blog today. Great tactic, Sarah. Thanks for a lot. I’ve tried some of that tools. Some add to my wishlist. Glad you enjoyed Sarah’s tips! Thanks for sharing these additional resources, Ivan! No one likes negative feedback but when we get passed the negativity, we can use that feedback to improve our blog. Thanks for putting this together. I’ve already passed it along!